From Earth To Plate: Digestive issues, Fatigue, Poor Immunity? Pre & Probiotics for LIFE! Digestive issues, Fatigue, Poor Immunity? Pre & Probiotics for LIFE! Prebiotics... how healthy is the enviroment in which your Probiotic good bacteria can live, strive & maintain an effective & healthy digestive balance within your digestive tract... Most people start with a probiotics, when in fact you are much better off to start with a pre & probitoc as the prebiotics not only interior decorate the living environment for the probiotics but feed them, making them vital & serving their purpose to the best of their ability. In this day & age many health conditions are related to poor gut flora like Chronic Fatigue, headaches, IBS, Bloating & many other common conditions. This is caused because if you don't have the GUT integrity e.g. a health environment for your gut flora to live in & getting your probiotics daily it can cause the villi in the small intestine to die or shorten, this means that you can have all the abundant food in your diet but may not be getting any of the nutrients from them as all the nutrients from the foods we consume are absorbed in the small intestine by our villi, so healthy gut flora = healthy villi which = a healthy & abundant you. 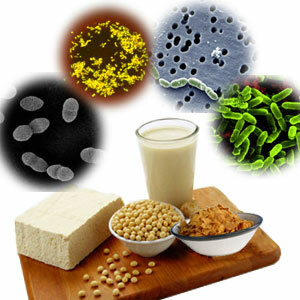 There are many foods in which we can get our prebiotics & probiotics from. However with the beat of the daily grind it can be hard to get these in your daily diet so another great way to do this is through purchasing a good quality Pre & Probiotic powder of caps from your local Nutritionist, Naturopath or Heath food store. I cant stress enough the importance of a healthy digestive system & how incorporating this into your daily diet will keep you vital through maintaining not only maximum absorption of nutrients but a strong immune system & healthy digestive system. Enjoy the essence of good bacteria & nourish the bodies most important system for optimal health. Helping to prevent Bloating, IBS & Constipation. can help in Chronic & Acute disease states e.g. Stomach bugs. To survive the festive season make sure you are taking a good quality Pre & Probiotic supplement as this will insure the maintenance of your digestive system whilst consuming festive indulgences.